“But with working smoke alarms providing the vital seconds needed to escape a fire, I urge all tenants to make sure they regularly test their alarms to ensure they work when it counts. Testing regularly remains the tenant’s responsibility. 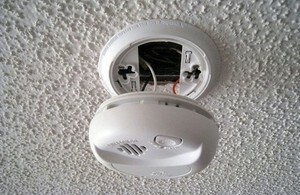 “People are at least 4 times more likely to die in a fire in the home if there’s no working smoke alarm. “That’s why we are proposing changes to the law that would require landlords to install working smoke alarms in their properties so tenants can give their families and those they care about a better chance of escaping a fire.